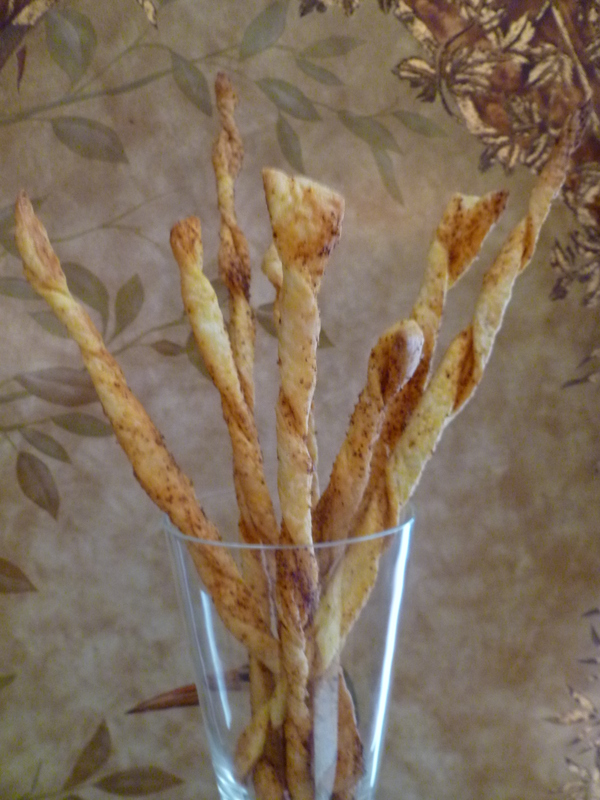 Usually Grissini are long, dry breadsticks. 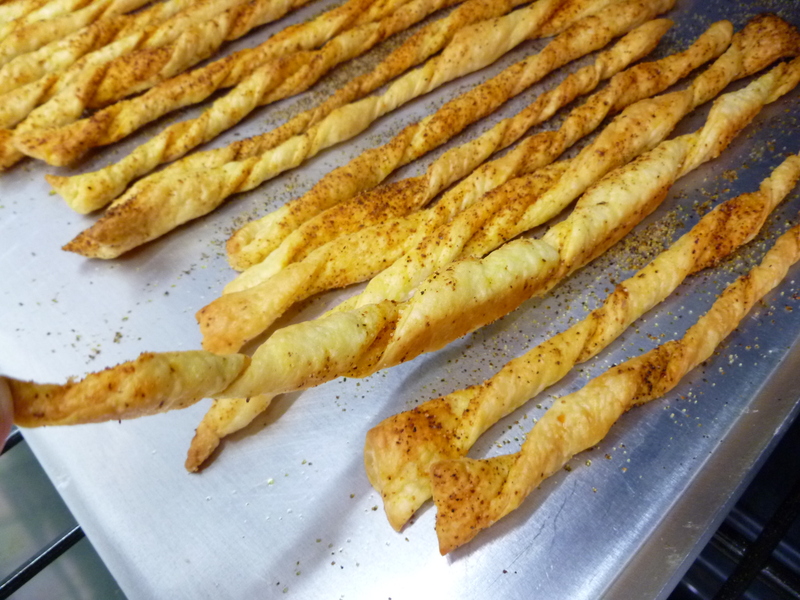 The idea of making them out of pastry instead, comes from Gusto, an Austrian cooking journal. 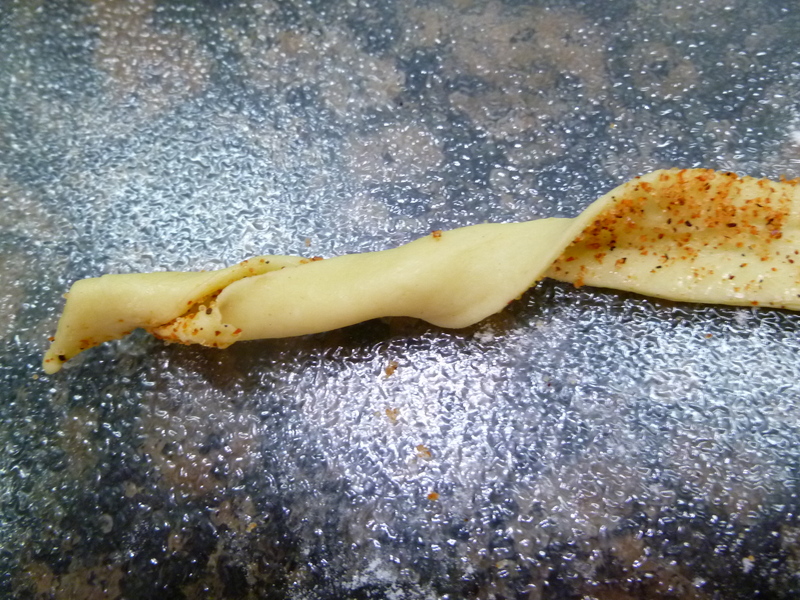 The Gusto version lays thin slices of garlic on flat strips of pastry. 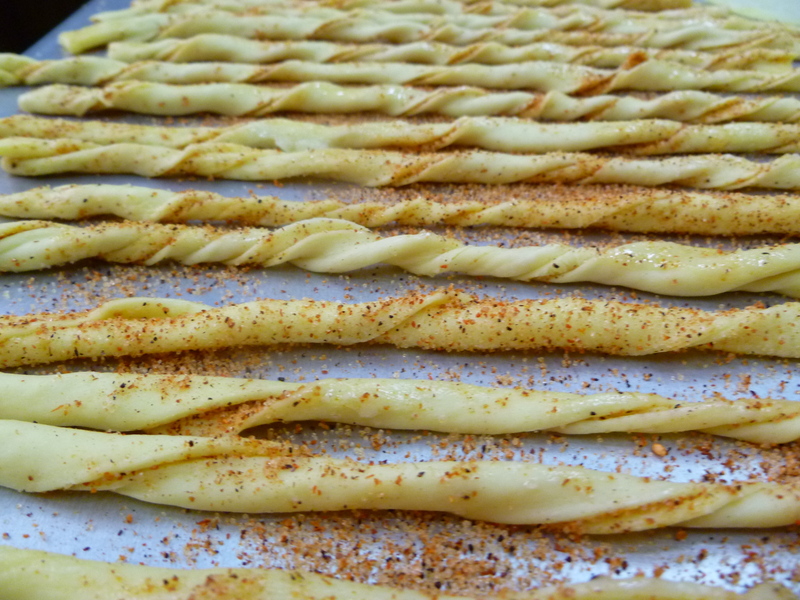 The version in the photo spices the pastry and twists the strips. 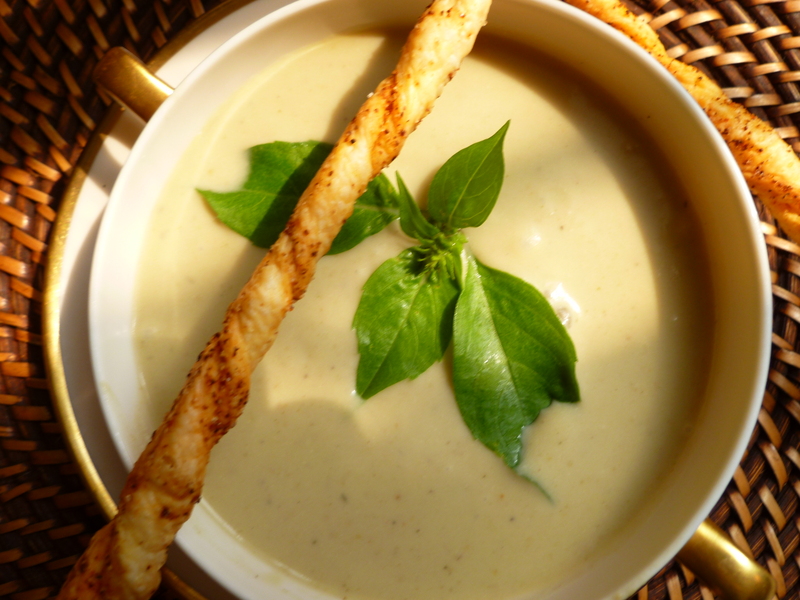 Your version might be some other combination of herbs or spices–shaped or maybe not. 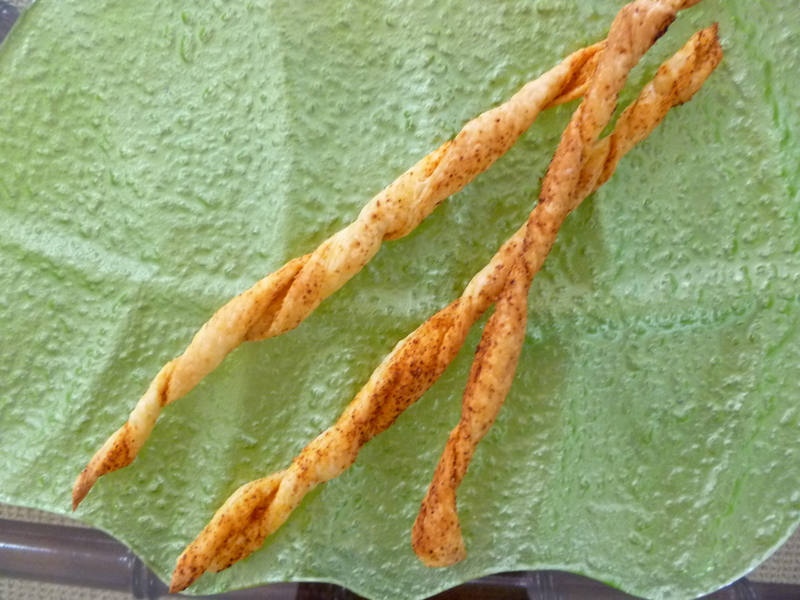 Whether you make Gusto‘s Grissini, the Creole-spiced ones shown here, or your own invention, they all set their improving mark on the original. 1. 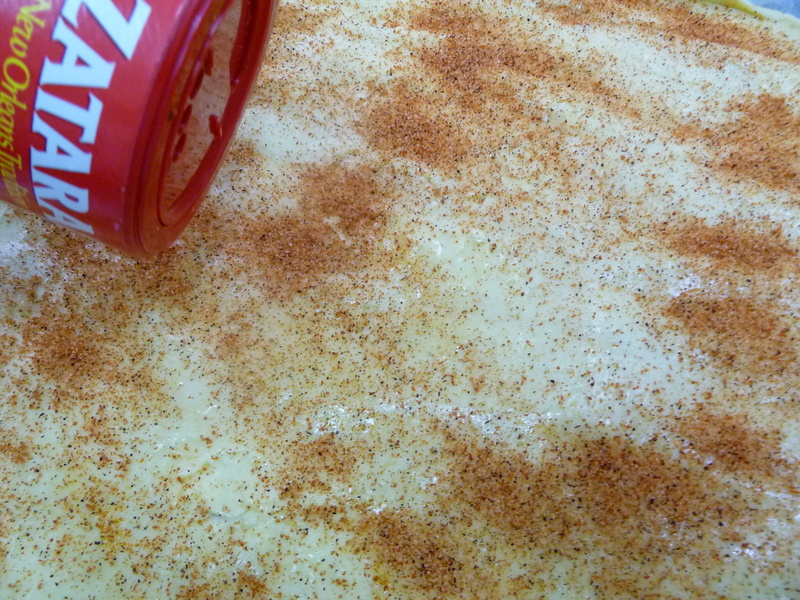 Preheat the oven to 400 F. Spread the puff pastry out on the board. 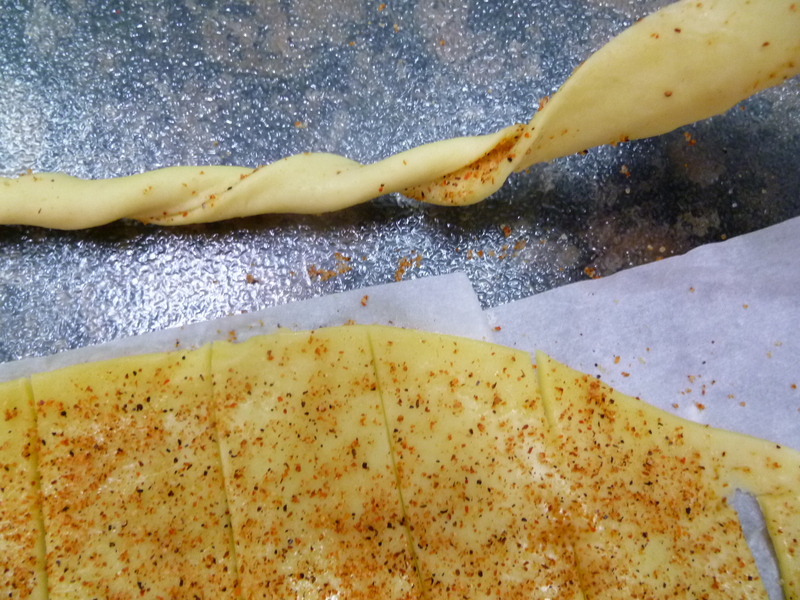 If you use rectangular pieces, place them side by side, overlapping a little, and roll them out into one piece. The rectangular pieces are generally thicker than the round ones. 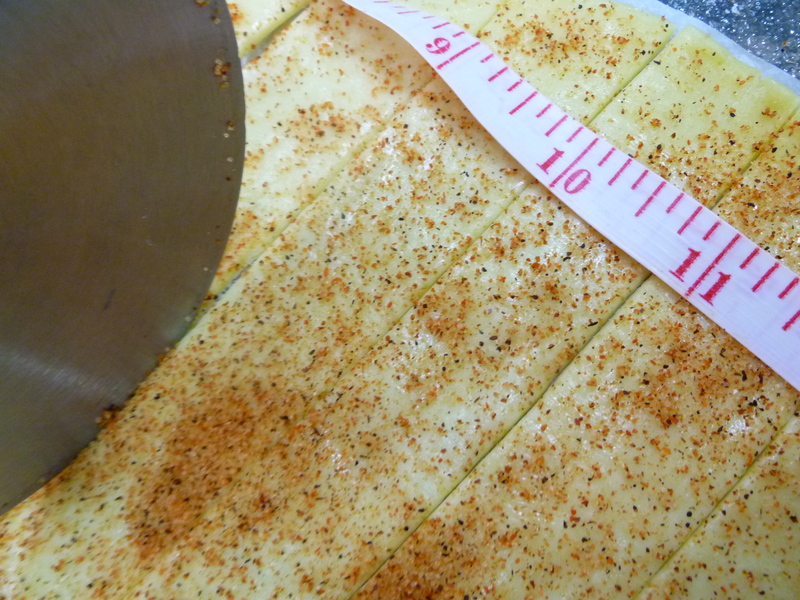 Roll them out a little thinner, as well.